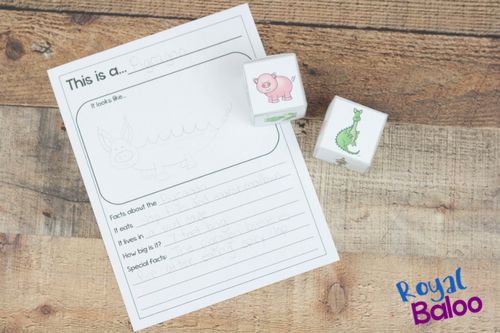 Kids don’t always love to write but with fun writing prompts, it’s much easier. 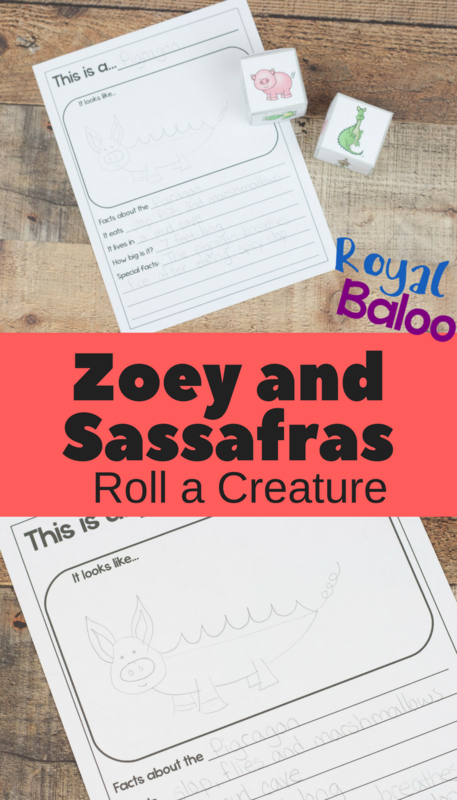 This Zoey and Sassafrass themed roll a creature is the perfect prompt!Royal (8) has fallen in love with Zoey and Sassafrass books. He flew through the first three (and then re-read them each) and now he’s anxiously awaiting the 4th book. We’ve pre-ordered the next book and I’ve never seen him so excited for a book. And I love that it’s such a great book series. 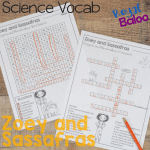 In case you haven’t heard of Zoey and Sassafrass, it’s a beginner chapter book series featuring a young girl and her cat. Zoey can see and converse with magical animals. In fact, they come to Zoey when they have a problem and need help! Zoey uses the scientific method to solve their problems. Observation, hypothesis, trial and error, etc. Plus she sneaks in some science facts like what certain types of animals eat. So we had to put together a few activities to further this love. And you know, I’m all about the activities! Don’t forget to sign up for the newsletter! 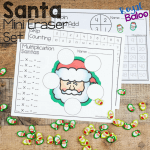 There are some excellent freebies already available and more to come. The books put out so far have featured a dragon, merhorses, and a forest monster. 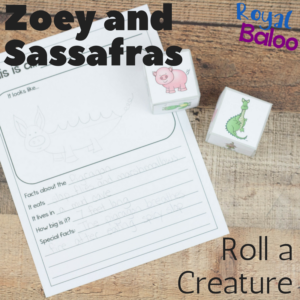 I thought it would be fun for them to come up with their own magical creatures and give them characteristics. Creativity and writing all in one! There are two dice needed for the roll a creature set. One die features typical earth animals. The other features more magical creatures. The only prep work needed is to put the dice together. 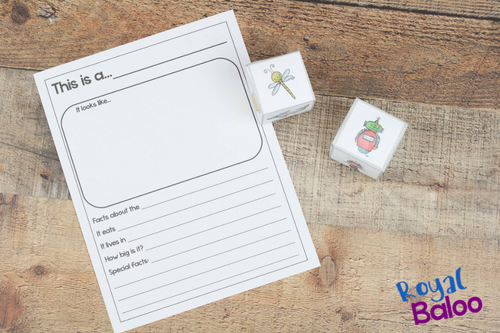 If you want to use them over and over, print on cardstock! They will last a lot longer. 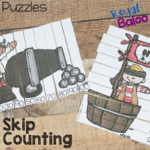 The idea is simple – roll the dice and see what you get! Come up with a silly combination name and let your imagination fly. I had to show the boys my creature before they were willing to work on their own. But once they saw my silly name, they were all in. I had a Pigragon – combination of a pig and a dragon. Next, just make up facts about them! The sillier the better. 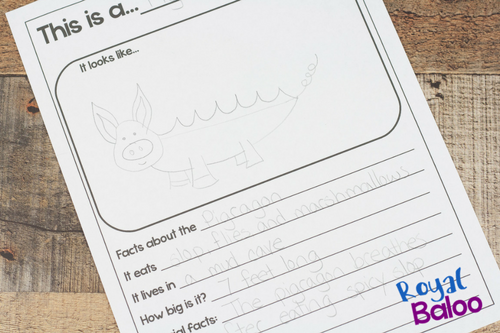 Although, adopting facts about other animals is a great way to learn about real animals too. My kids ended up making multiple creatures each. 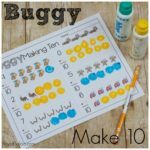 This was definitely a hit of an activity! The link to download the printables is not working. I’d love these for my daughter as she just started reading these books and loves them!